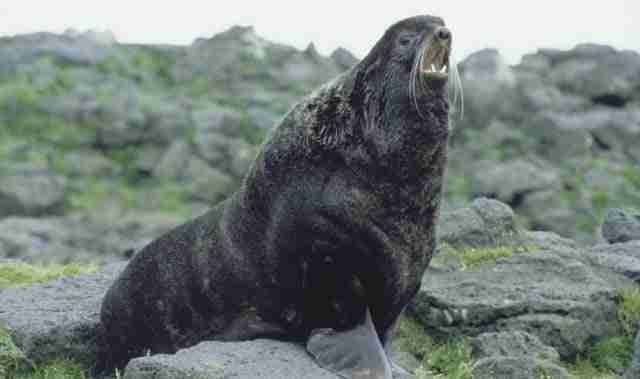 Northern fur seals are declining in population throughout their range in the North Pacific, due possibly to climate change, possibly to increased predation by orcas, and possibly to seal-hunting by people on both sides of the Pacific. The New England Aquarium, in Boston, has one of the most extensive northern fur seal programs in the world. 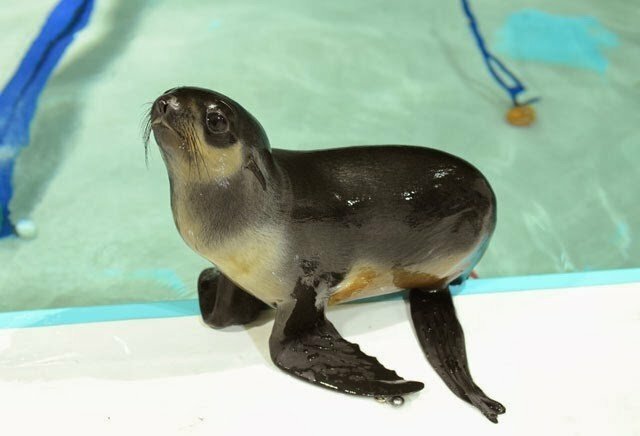 It's unlikely that this pup would be reintroduced to the wild, having spent too much time with humans early in his life, but the New England Aquarium is accredited and has a history of conservation and reintroduction programs for marine animals. ACTION ALERT: Zoos and AquariumsHundreds of millions of people visit zoos every year, despite increasing public anxiety about animals in captivity. If you want to make sure you're at least visiting a zoo that makes efforts to be humane, make sure it is on the list of U.S. facilities accredited by the Association of Zoos and Aquariums; internationally accredited facilities are listed here by the World Association of Zoos and Aquariums. If you want to see whether a facility has any recent USDA violations, you can search this database. You can report a zoo or aquarium to the USDA here. And if you want to become active against having animals in captivity, Peta and Born Free USA offer places to start. ACTION ALERT: Zoos and Aquariums ACTION ALERT: Zoos and Aquariums Hundreds of millions of people visit zoos every year, despite increasing public anxiety about animals in captivity. If you want to make sure you're at least visiting a zoo that makes efforts to be humane, make sure it is on the list of U.S. facilities accredited by the Association of Zoos and Aquariums; internationally accredited facilities are listed here by the World Association of Zoos and Aquariums. If you want to see whether a facility has any recent USDA violations, you can search this database. You can report a zoo or aquarium to the USDA here. And if you want to become active against having animals in captivity, Peta and Born Free USA offer places to start.